Do you want classes, resources or training? 1) I want to sign up for home studio classes or online classes, Personalized Therapeutic Classes . Click here to get started today. 3)For Advanced Yoga Teacher Training to work with Cancer Patients and Survivors, Click here . Welcome. Namaste. Yoga Teachers who are interested in teaching yoga to cancer patients, any cancer patient or survivor, read on. At 46, I was a healthy yogi, a bit stressed at work but overall happy, but feeling a bit bloated and fatigued. 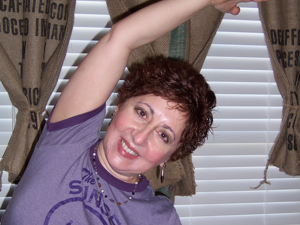 By April 2003, I was a colon cancer patient. Treatment was grueling physically and mentally. My yoga practices helped me mainly through breathing practice and healing meditation. After six months of treatment, I had a battered body, mind, and spirit. I needed specialized yoga for cancer survivors, but it didn’t exist in the community. Defying the odds of my prognosis, at age 50, I became a yoga teacher specializing in working with cancer patients and survivors. I have felt a passion to help other survivors, and now have been training yoga teachers around the world since 2011. Yoga teachers find me from remote parts of the world, because my online course is the only in-depth training with mentorship, interaction, and a strong research base. 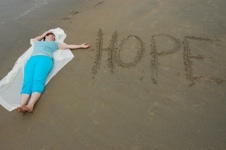 If you are attracted to teaching therapeutic yoga to cancer survivors. The ’Art & Science of Teaching Yoga for Cancer Patients and Survivors’ is a 30 CEU’s from Yoga Alliance for the first 30 hours. The International Association of Yoga Therapists has been approved the course as a Specialty Training with 100 CE , March 2019. I designed this course to be interactive, engaging, real-time reviews with me, and practical. When you are done, you will be competent and confident in teaching yoga to a wide range of patients and survivors. If you live in San Diego, you may take this training as part of “Soul of Yoga” C-IAYT 1,ooo hr Therapeutic Yoga Training. 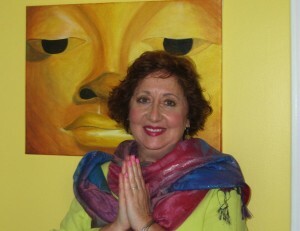 My goal is to make Yoga for Cancer Survivors in every language available for FREE download! If you donate, you will be part of this dream! Yoga Being © 2019. All Rights Reserved.